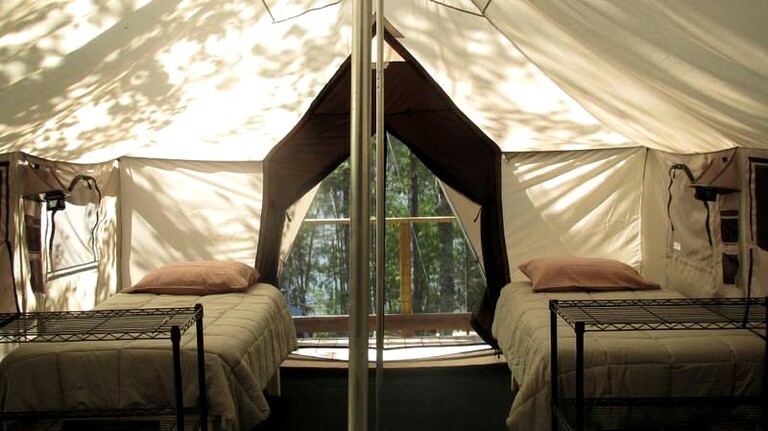 These luxury tents can each accommodate four glampers and are located on a private, 10-acre island. The tents are 12-feet by 20-feet and come complete with a king-size bed, which can be converted into two twin-size beds, if so desired. 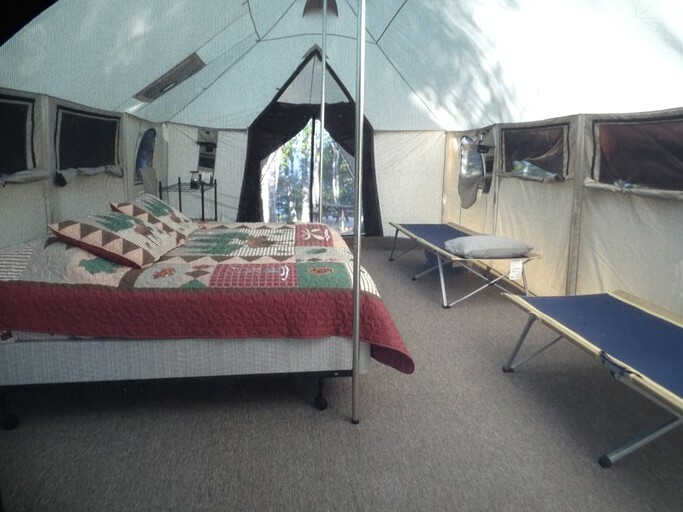 Linens and pillows are included, and each tent is completely carpeted. 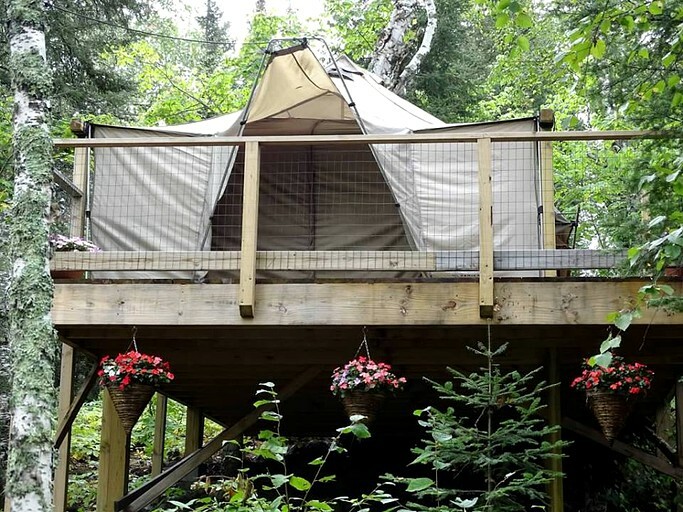 Glampers will do their cooking in a fully screened-in cooking tent. The luxury rent rental includes all of the necessary kitchen equipment to cook meals with ease at this glamping site, including a Weber barbecue, a cook stove, coolers, cups and mugs, frying and sauce pans, a percolator-style coffeemaker, a fillet knife, a cutlery set, pot holders, a wine and bottle opener, hot dog forks, sandwich/pie makers, kitchen towels, salt and pepper, and cooking and eating utensils. Ice is available upon request. In addition, guests will be provided with a lantern, charcoal and a chimney-style charcoal starter, a lighter and matches, napkins, paper towels, toilet paper, Kleenex, hand and dish soap, trash cans and garbage bags, and a clothesline. 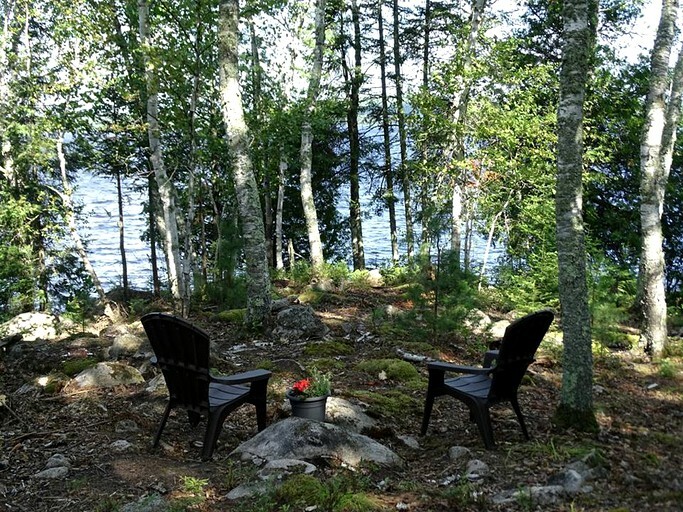 This rental also includes access to a personal wood-fired Finnish sauna, located near the shared outhouse facilities. 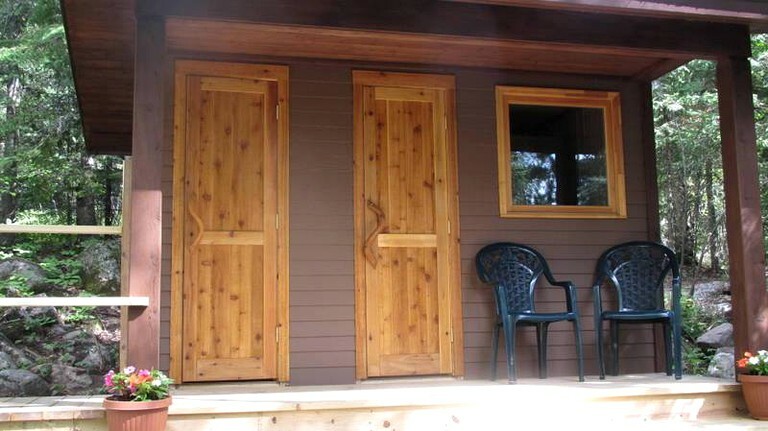 Family Get-Away Package: Two adults and two children $800 a week, including a one-day boat rental. Beer and Bass: The luxury tent, a one-day boat rental, and a growler of the local Ely Boathouse Brew. 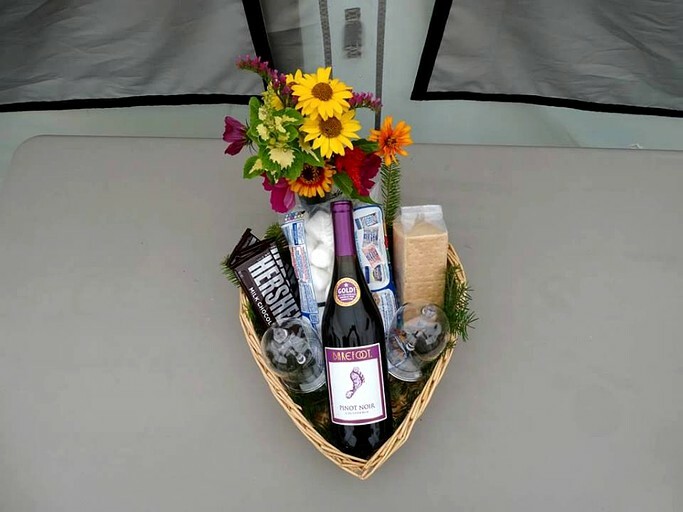 Romance Package: The luxury tent, a welcome basket, a bottle of wine, and a massage package from a fantastic, local spa company. 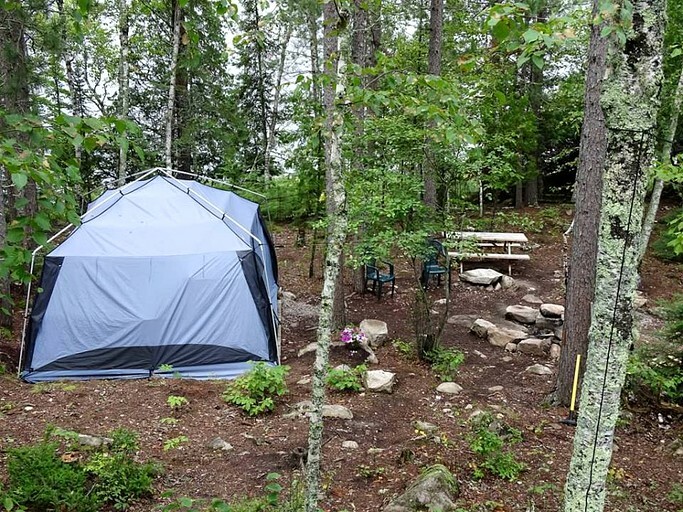 Complete Package: The luxury tent, plus all food and equipment. Don't pack anything but clothing and personal items! Please contact the host for available menu options. 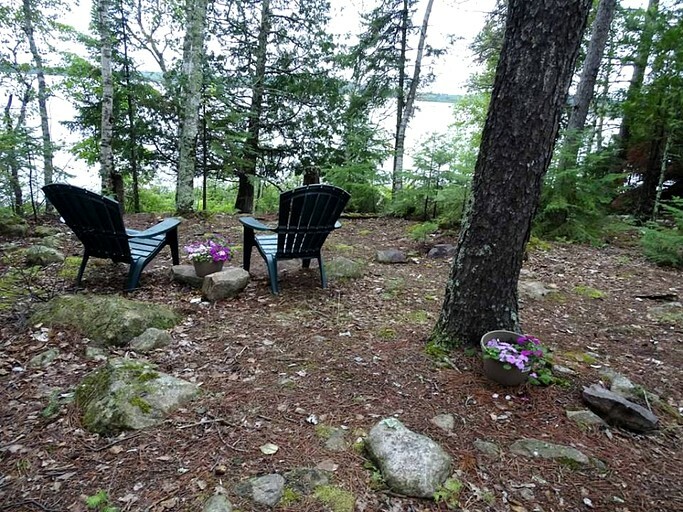 Riverside Island is a 10-acre private island that pertains to the city of Ely in northeastern Minnesota. 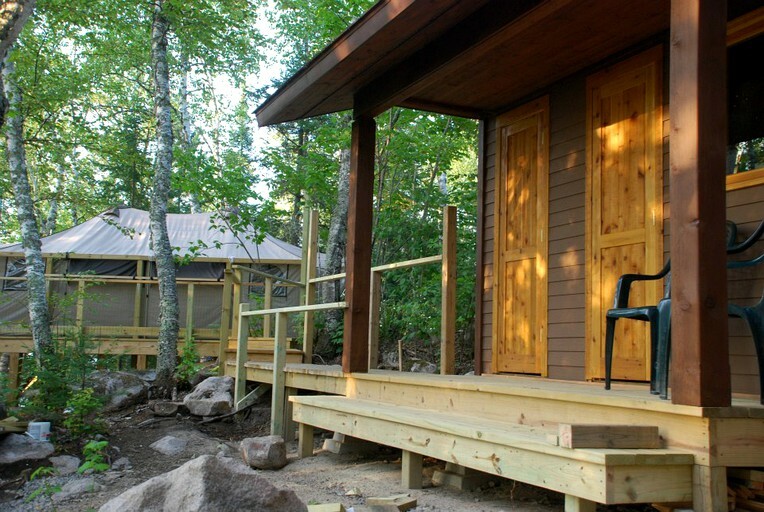 On-site, guests can arrange for a Fishing Package for an additional cost, which includes a northwoods fishing experience with a local expert guide for either a half or full day of fishing. 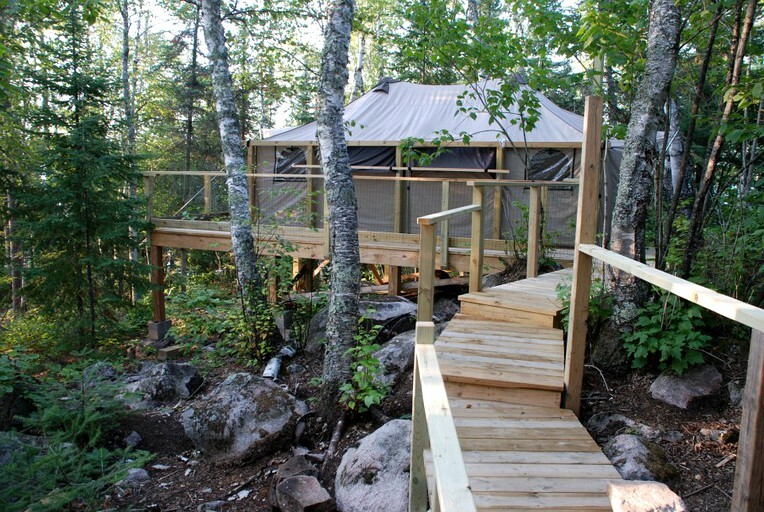 In winter, glampers can also purchase packages for dog sledding, skiing, snowshoeing, snowmobiling, and ice fishing. For the aforementioned activities that require equipment, guests can opt to either bring their own or rent the necessary gear. Additional fees will apply. 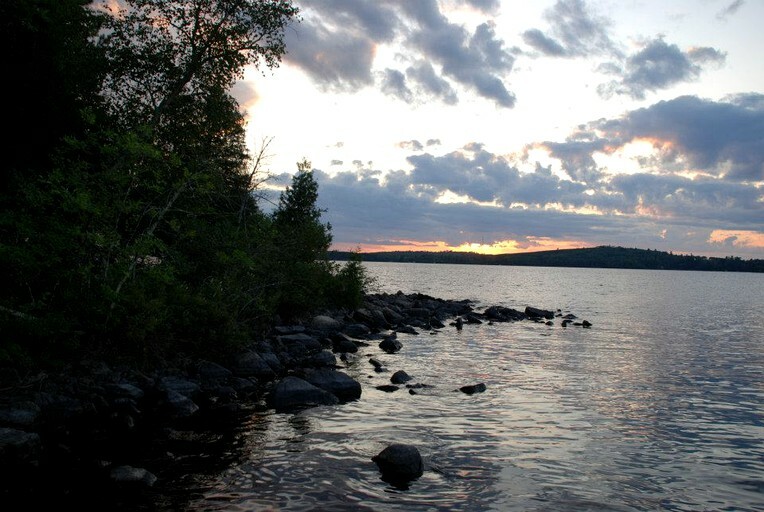 In addition, glampers will be able to access the Boundary Waters Canoe Area (BWCA) for day trips and overnight excursions. There is an option to rent the entire island for $1,400 per week. If glampers are interested in this, please make a booking request, and message the host for a revised, or new, offer.